When the peppers are ready to pick but do not yet have tomatoes ready to accompany them they like to find their way into the freezer. Eventually the peppers will join the tomatoes in spaghetti sauce, salsa, chili sauce, and tomato soup. 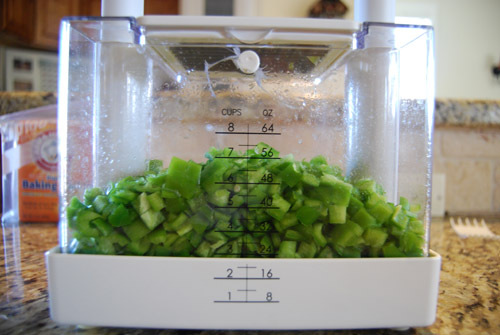 I also like to keep some diced peppers for cooking throughout the winter time. Freezing peppers is a great way to speed up dinner prep and use your garden year round. How to? Easy as 1-2-3 and a VERY quick 4. 2- Remove Core, stem, and seeds. 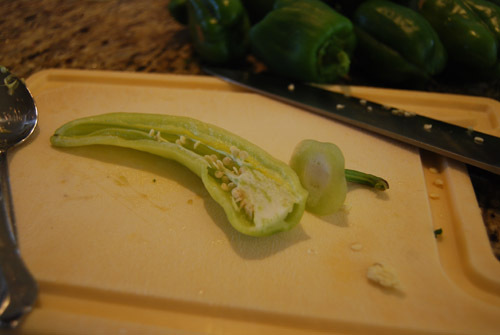 To do this I cut off the stem and slice the pepper lenghthwise. I then remove the seeds with a spoon. 4- Bag and Freeze. 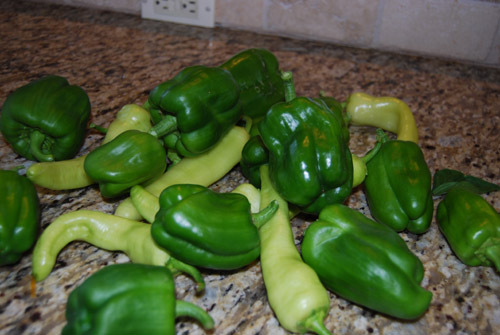 You may want to use a vacuum sealer if your peppers will be in the freezer all winter. 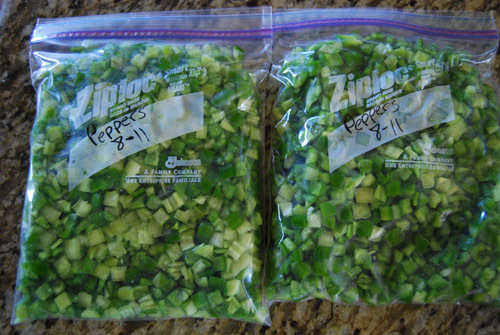 I use Ziplock freezer bags because I only plan to keep the peppers frozen for 4-6 weeks, or until I can get them into bottles. This entry was posted in On the Stove and tagged Preserving.